Starring Joss Lynch and Alex Wolff. Directed by Marc Meyers. He came so close to death yet was perhaps saved by an unconscious decision to leave the notorious Jefferey Dahmer’s house. This rather cold yet disturbingly realistic film is based on the recollections of serial killer Jeffrey Dahmer’s best friend, John Backdef. We see Dahmer as a strange nerdish psychopath who didn’t fit in at school and was fascinated by handsome men, dead animals and exploring the inside of corpses. He started his vicious killing spree shortly after matric. 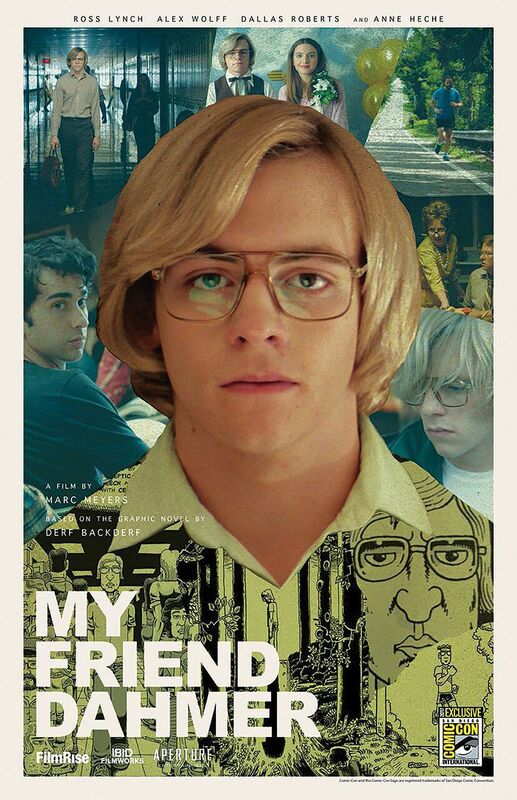 Fans of the handsome Joss Lynch might find him unrecognisably good as the young Dahmer, and we witness how the killer inside him was formed and finally started living out his fantasies. A tough but rewarding biography.